Probably the most controversial skin resurfacing treatment is the chemical peel with beauty product retailers selling lots of skin peeling solutions that may be genuine but improperly used by consumers. Skin peeling solutions contains chemical that are strong enough to be considered harmful to the skin if not used exactly as is proper. This is the reason why we see a lot of people walking around with faces so red it looks like their flesh is already popping out or with skin so thin, they seem transparent. Now, chemical peel is actually a treatment to improve impurities and flaws on the face, be it mild to severe, however, since chemical peeling agents had been readily available, people are self-medicating thinking that applying such chemicals will result to the face used by companies to market their product. We cannot claim that the products are fraud, but your skin is unique, maybe the model really used the products, but since your skin is most likely different than his/hers, your response may not exactly be the same. The problem with chemical peeling is not the procedure, it’s the way people had used it for years without even consulting a dermatologist. Just like all medications available in the market, these chemicals may have specific use, and these uses had been proven with years of research, but if they are improperly used, the result will be far from beneficial. Chemical peel is a skin treatment that involves the use of a special chemical solution to penetrate the skin to gently peel it off. This treatment destroys parts of the skin in a controlled way thus facilitating the growth of new skin to replace the old one. The type of chemical peel depends on how deep the chemical penetrates the skin and what type of solution is used. Basically, for patients, this means the kind of chemical peel that we will recommend will depend upon the condition of the skin and the problems that should be addressed. 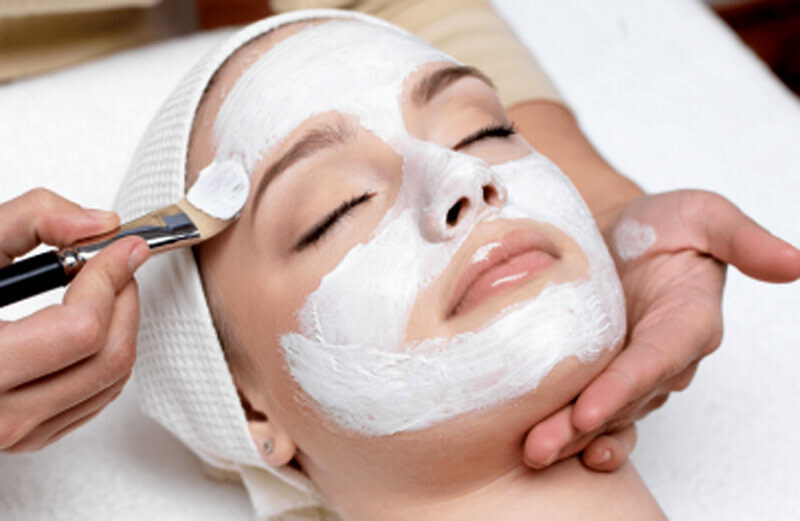 For instance, the superficial peels make use of the mildest types of chemicals and is basically recommended for minor skin flaws such as blotches caused by sun damage; the medium peel penetrates deeper in to the skin and it can be used for fine wrinkles, smoker lines, a mild cases of acne scarring; the deep peels on the other hand penetrates several layers of the skin and can only be used on the face and is usually recommended for patients with more visible lines on the face, acne scars, severe discoloration, and most facial flaws, however, since the chemical goes very deep into the skin, this treatment is only recommended on rare cases and it can only be done once. HOW IS CHEMICAL PEEL PERFORMED? Chemical peel should be performed under the supervision of cosmetic surgeon or a dermatologist. Once the chemical is applied on the face, the chemical will be left there for a certain period of time before the area is cleaned off. The strength of the chemical that will be used will depend upon the skin type and the concern of the patient. A medical personnel will attend to you during the duration of the treatment so any reaction can be noted immediately. WHAT SHOULD YOU KNOW ABOUT CHEMICAL PEEL? Like the other skin resurfacing procedures, a pinkish to reddish tint will be noticeable for at least 3-4 weeks, but for the superficial peel, this will take shorter. Scabs may also form especially for the deep peeling and sun exposure should also be minimized if not completely avoided. Patients who had done medium peel and deep peel will have optional bandages after the treatment (superficial peeling will never require bandage), to protect the area from infection. Swelling is worse with deep peeling and recover will take more than a month. Healing will range from a month to up to 6 months depending on the peeling agent that was used. The most common concern with chemical peel is that it causes chemical burns, which is actually the mechanism of action of this treatment, that’s why it should only be performed under the supervision of a cosmetic surgeon or a dermatologist and it should be watched closely. Chemical Peel is a sensitive procedure that requires the expertise of your surgeon. With Prof. Somyos Kunachak’s more than 30 years of experience in the cosmetic industry, he has performed this procedure to countless number of patients who were very satisfied with the result. It can also be noted that this kind of procedure will require that you stay indoors for a couple of days so we highly recommend that you book your accommodation near our center. With this, we recommend Aphrodite Inn, the hotel just beside our clinic. Staying with Aphroidite Inn allows our patient to enjoy the privilege of having doctor and nurses visit them in their own room instead of them going to us. Should they need to come to the clinic for a treatment, there is an adjoining door accessible only for patients and staffs so patients need not go out of the hotel anymore. Room service is also available anytime and complimentary breakfast will be serve ala carte every morning. Probably the most controversial skin resurfacing treatment is the chemical peel with beauty product retailers selling lots of skin peeling solutions that may be genuine but improperly used by consumers.